The capital of the Czech Republic … and one of the world's foremost city tourism destinations – and it also has a couple of things to offer to the dark tourist. More background information: The fabled ancient capital city of today's Czech Republic (formerly the CSSR/Czechoslovakia, and before that Bohemia) is primarily still a mainstream tourist destination, especially for weekend city breaks. Prague isn't considered one of the most beautiful cities in the world for no reason! Although, these days, it has become rather overcrowded with tourists – so much so at times that it is all but impossible to move in the throngs, especially at prime tourist sights such as the famous Charles Bridge. Most visitors come to see the architecture such as that bridge, the magnificent churches, old gates, clock towers, Art Nouveau, etc., and of course the quaint Old Town in particular. The whole place is a UNESCO world heritage site! Many want to take in the great history of this city, one of the richest of any metropolis in Europe, after all. It was, for instance, in Prague where the one of the world's oldest universities was founded as early as 1348. 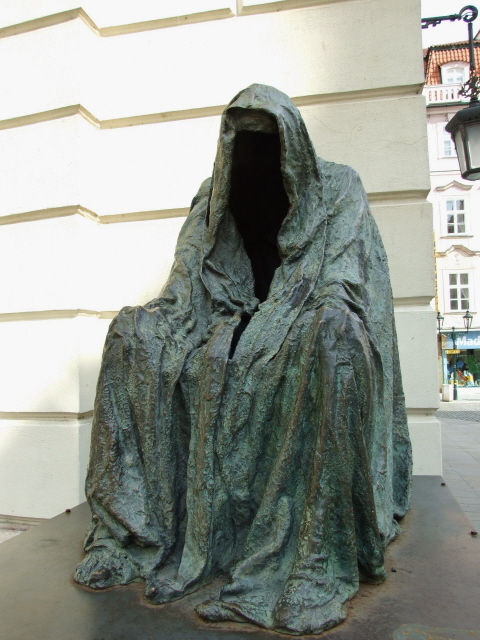 Prague also has its share of dark sides/sites, however. For starters, Prague has had a long Jewish history, which – like in so many Central and Eastern European countries – suffered its darkest period during the Holocaust at the hands of the Nazis when Germany occupied the Czech lands in WWII. Moreover, Prague, as a capital city of an Eastern Bloc country that had been liberated by the Soviet Union, was also of significance during the Cold War period. This became particularly dark for the city/country at the end of the so-called "Prague Spring", when the movement towards reform and greater freedom was crushed by invading Warsaw Pact troops and tanks. The "Velvet Revolution" of 1989 then put an end to the communist era in a much more peaceful fashion – so velvety soft was it that the other "revolutions" in neighbouring countries such as Hungary and the GDR pale in comparison. The Czechs often say that while it took the Poles 10 years and the GDR 10 weeks to shake off their communist regimes, the same thing took only 10 days in Czechoslovakia. The National Monument on Vitkov Hill is an altogether grander but also blunter affair. You can see the giant equestrian statue at the front of the complex from far away. The rider is Jan Žižka (a Czech general of the 14th century), but the unnamed horse is even more impressive – by size alone (9m high, weighing 16.5 tons). The dark connection is less visible, though. Not only is the whole site a memorial to Czech resistance and (often fragile) nationhood, it also serves as the Tomb of the Unknown Soldier and now forms part of the National Museum. Take a closer look at the doors as well – they feature some superb socialist realist reliefs of workers, women and warriors. Most intriguingly, however, the main part of the building was once a grand mausoleum, namely of the CSSR's communist leader during Stalinist times, Klement Gottwald. He had died (under mysterious circumstances while in Moscow) in 1953, shortly after Stalin's death, and for a while his embalmed body was displayed in a glass coffin in the main hall here. The whole affair was inspired by and modelled on Lenin's mausoleum (like Dimitrov's in Bulgaria's capital Sofia). With the advent of De-Stalinization, however, Gottwald had to move out too. His body was cremated in 1962 and his ashes were later interred in a regular grave in Olšansky cemetery (see below). Prague also has one of the world's most impressive old Jewish quarters – many Jewish buildings, especially synagogues, survived the destructive Nazi years in good shape or have been restored so that the complex still forms a remarkable whole, feeling quite complete and real. The fact that it survived was no "oversight" on the part of the Nazis. In fact they wanted the quarter to be turned into a kind of museum – to show the general public the "subhuman" and by then "extinct" culture of Judaism vis-à -vis Aryan superiority. Thankfully, that sick plan never came to fruition. However, most visitable sites of Prague's Jewish quarter are still merely memorials even today. These are in part of special interest to the dark tourist too, in particular as some include artefacts and pictures from the concentration camps (in particular Theresienstadt/Terezin). 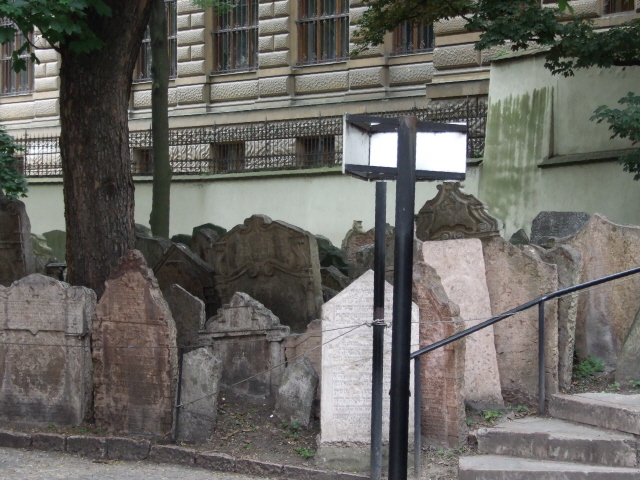 The medieval Jewish cemetery at the heart of the quarter is certainly the most famous of its kind and the most visited one (in particular by non-Jewish tourists). The image of the densely packed and stacked headstones has become almost iconic for what a Jewish cemetery is expected to look like. So if you are only ever to visit one Jewish cemetery, make it this one. An additional touristy treat this quarter offers to visitors is the fact that the famous writer Franz Kafka lived and worked here – a fact that gets especially pushed at the Kafka-House itself. Location: Prague is centrally located in the Bohemia part (i.e. the western half) of the Czech Republic, roughly on the line Vienna – Dresden – Berlin. Access and costs: Easily accessible, but no longer a cheap place. Details: Prague, being one of THE tourist destinations in Europe, is easy enough to get to. For those who need to fly in there are countless connections, including some with a variety of budget airlines. But Prague can also be reached easily by train, e.g. from Berlin or Vienna (ca. four hours away). Of course there are coach connections too. And in theory you could drive there in your own car – only I'd rather advise against this, if only due to the navigational difficulties to be encountered when driving in this city (without a GPS at least – last time I did so it took me a whole hour to find my way out of the city after I had taken just one wrong turn). Parking is also very restricted. The inner city can comfortably be explored on foot as most of the major sights are within walkable distances from each other. Otherwise, use the good network of public transport, especially the trams or the three Metro lines. The latter mainly serves to connect the city centre with the outer districts of Prague, where some of the larger hotels are also located. Owing to Prague's ever increasing popularity with tourists over the last couple of decades, costs for accommodation, food and drinks, and transportation have gone up so much that in the touristic centre they are now generally comparable to the price levels encountered in Western capital cities. The same is true for the tourist sights, including the Jewish quarter. Here you can either pay for admission to each of the sites individually, or get a somewhat cheaper combined ticket, which still sets you back a hefty 480 Crowns (nearly 20 Euros)! Note, also, that Jewish sites are closed on Saturdays and Jewish holidays. Otherwise the general opening hours are: daily between 9 a.m. and 6 p.m. (only to 4:30 p.m. in winter). You can get guided tours of the Jewish quarter from a range of operators, but frankly, these should really only be considered if you have a genuinely profound interest in these places and their history. Otherwise it's perfectly feasible to do them on your own, independently. There are plenty of other guided tours on offer too, some of which may indeed be of particular interest to the dark tourist. Most importantly there's the "Communism & Nuclear Bunker Tour" – mainly because that's the only way to see that bunker. The same company also offers a range of further "Special Tours" on themes such as "Underground", "Dungeons and Terror" or "Ghosts and Legends". Furthermore, another company offers special WWII-Tours (ca. 2 hours, 600CZK, as in October 2013). The latter includes as its main asset a visit to the St Cyril and Methodius church crypt (admission and tram fare included) but also points out various other sites of dark historical interest. Time required: In order to get a decent impression of Prague, you should have at least a whole weekend. This is the typical "city break" time most people spend here – however, most would also agree that the city deserves more time for more extensive exploration to include some bits off the well-beaten (and overcrowded) track. Up to a week could easily be filled with a more extensive itinerary. Combinations with other dark destinations: Prague is a good base for day excursions to the former concentration camp of Theresienstadt/Terezin, Lidice, Vojna or to Kutna Hora with its Sedlec ossuary. 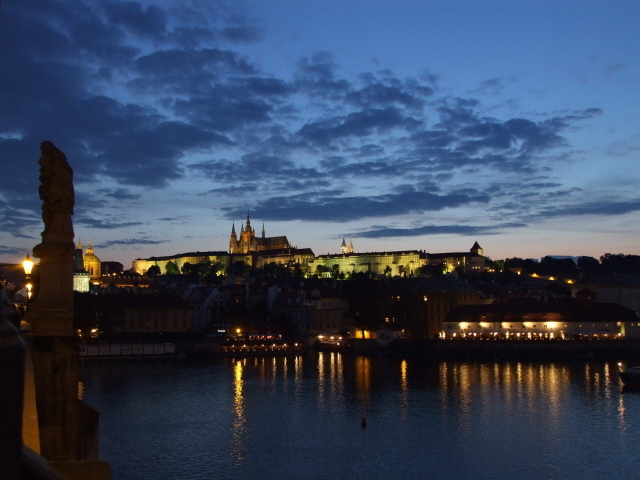 Of course, Prague could also be worked into a longer itinerary taking in e.g. Krakow in the south of Poland, or in combination with destinations in the south-east of Germany or the east of Austria (Vienna, for instance, is easily reached by train). Combinations with non-dark destinations: Prague is one of the world's top destinations for short city breaks and offers all the trimmings, from the cultural to the downright tacky. Indeed, the overload of blatant tourist traps has been taken to new heights in Prague. Probably nowhere else do you encounter such a densely packed conglomeration of souvenir shops, offering more or less the same tacky touristy crap. How they can all survive is a mystery to me. And their numbers are rather going up than down too. On the other hand, dedicated shoppers (with the prerequisite stamina) can also hit upon some real good finds and bargains in between all the tacky stuff. The main throng of tourists pushes through the streets between Wenceslas Square and the Old Town Square, with its astronomical clock besieged by huge crowds on an hourly basis, and its marvellous Tynsky Church, further on through the bottleneck that is the famous Charles Bridge, and up the Castle Hill with its gothic St Vitus Cathedral. Off the heavily beaten tracks flooded by tourists at all times, surprisingly quiet spots can be found offering an oasis of peace and calm too, e.g. by the river banks if you just walk a little up from the Charles Bridge. Naturally, you can also do a range of mainstream tourist day excursions from Prague as a base; the most popular are probably the ones to the spa town of Karlovy Vary, to the Castle of Karlstejn, or to the incredibly picturesque town Cesky Krumlov (also a UNESCO world heritage site). What is it? Capital of the Czech Republic … a major city tourism destination – and it also has a couple of things to offer the dark tourist. More background information: The fabled ancient capital city of today's Czech Republic (formerly the CSSR/Czechoslovakia, and before that Bohemia) is primarily still a mainstream tourist destination, esp. for weekend city breaks. Prague isn't considered one of the most beautiful cities in the world for no reason! Although, these days, it has become rather overcrowded with tourists – so much so at times, that it is all but impossible to move in the throngs, especially at prime tourist sights such as the famous Charles Bridge. Most visitors come to see the architecture such as that bridge, the magnificent churches, old gates, clock towers, Art nouveau, etc., and of course the quaint Old Town in particular. Many want to take in the great history of this city, one of the richest of any metropolis in Europe, after all. It was, for instance in Prague where the one of the world's oldest universities was founded as early as 1348. Less educationally minded visitors include scores of stag party groups and other rowdy crews who have more interest in beer and exhibitionism, it seems. How it came about that Prague acquired the status of "stag party capital" of Europe is a mystery to me (maybe because decades ago the beer was cheap here? ), but it's something the city, and its other visitors, have to just deal with. Let them what they see as their fun. Prague also has its share of dark sides/sites, however. For starters, Prague has had a long Jewish history, which – like in so many Central and Eastern European countries – suffered its darkest period during the Holocaust at the hands of the Nazis. Moreover, Prague, as a capital city of an Eastern Bloc country, was also of significance during the Cold War – which became particularly dark for the city/country at the end of the "Prague Spring", when the movement towards reform and more freedom was crushed by invading Warsaw Pact troops and tanks. The "Velvet Revolution" of 1989 then put an end to the communist era in a much more peaceful fashion – so velvety soft was it that the other "revolutions" in neighbouring countries such as Hungary and the GDR pale in comparison. The Czechs often say that while it took the Poles 10 years and the GDR 10 weeks to shake off their communist regimes, the same took only 10 days in Czechoslovakia. What there is to see: Prague has one of the most impressive old Jewish quarters – unlike elsewhere many Jewish buildings, esp. synagogues, survived the destructive Nazi years in good shape or were restored so that the complex now forms a remarkable whole, feeling very complete and real. Though most visitable sites are now memorials. These are in part of special interest to the dark tourist too, in particular as some include artefacts and esp. pictures from the concentration camps that the Jewish population of Prague was largely deported to (in particular Theresienstadt/Terezin has to be mentioned in this context.) Together with the Charles Bridge and castle hill the old Jewish quarter ranks as the top tourist sites the city has to offer visitors. Consequently, it can get pretty crowded at peak times here too. The medieval Jewish cemetery at the heart of the quarter is certainly the most famous of its kind and the most visited one (in particular by non-Jewish tourists). The image of the densely packed and stacked headstones has become almost iconic for what a Jewish cemetery is expected to look like. So if you only ever visit one Jewish cemetery, let it be this one. (But, see also under Vienna: that city's Zentralfriedhof, or central cemetery, also shows a quite different type of Jewish cemetery culture, giving its graves a very different look to the ones in Prague.) An additional touristy treat this quarter offers visitors is the fact that the famous writer Franz Kafka lived and worked here – a fact that gets especially pushed at the Kafka-House itself. The inner city can comfortably be explored on foot as all major sights are within walkable distances from each other. Otherwise, use the good network of public transport, esp. the trams or the three Metro lines. The latter mainly serves to connect the city centre with the outer districts of Prague, where some of the larger hotels are also located. Owing to Prague's ever increasing popularity with tourists over the last couple of decades, costs for accommodation, food and drinks, and transportation have gone up so much that they are now generally comparable to the price levels encountered in Western capital cities. The same is true for the tourist sights, including the Jewish quarter. Here you can either pay for admission to each of the sites individually, or get a somewhat cheaper combined ticket, which still sets you back a hefty 480 Crowns (nearly 20 Euros)! You can only hope that such prices don't stir up old prejudices. Note, also, that Jewish sites are closed on Saturdays (Sabbath) and Jewish holidays. Otherwise the general opening hours are: daily between 9 a.m. and 6 p.m. (only to 4:30 p.m. in winter). You can get guided tours of the Jewish quarter from a range of operators, but frankly, these should really only be considered if you have a genuinely profound interest in these places and their history. Otherwise it's perfectly feasible to do them on your own, independently. Time required: Guided tours of the Jewish quarter are typically estimated to last about two and a half hours – which gives you an impression of how much time you can expect to spend here as an individual too. If you really want to take in everything in all detail it could even take longer than that. Most people, however, will probably spend rather less time than that. In order to get a decent impression of Prague, you should have at least a whole weekend. This is the typical "city break" time most people spent here – however, most would also agree that he city deserves more time for more extensive exploration to include some bits off the well-beaten (and overcrowded) track. For only the dark elements described here, you could at a push do with just a single day. It would be a shame, though, not give the rest of Prague a decent chance too. 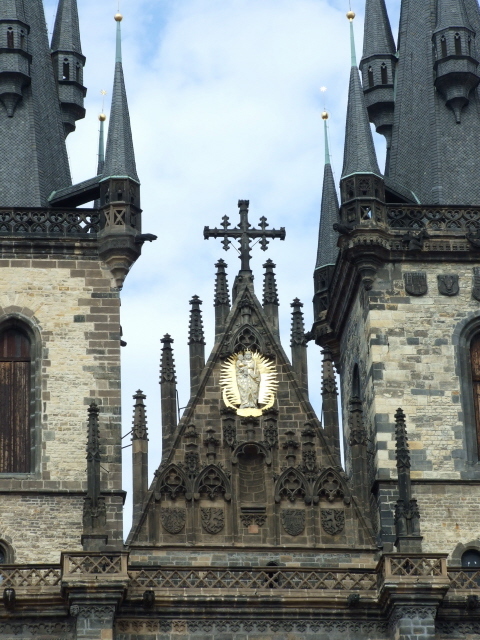 Combinability with other dark destinations: Prague is a good base for day excursions to the former concentration camp of Theresienstadt/Terezin or to Kutna Hora with its Sedlec Ossuary. Combinability with other non-dark destinations: Prague is one of the world's top destinations for short city breaks (and in particular for British stag parties too) and offers all the trimmings, from the cultural to the downright tacky. Indeed, the overload of blatant tourist traps has been taken to new heights in Prague. Probably nowhere else do you encounter such a densely packed conglomeration of souvenir shops, offering more or less the same tacky touristy crap. How they can all survive is a mystery to me. And their numbers are rather going up than down too. On the other hand, dedicated shoppers (with the prerequisite stamina) can also hit upon real finds and good bargains in between all the tacky stuff. The main throng of tourists pushes through the streets mainly between Wenceslas Square and Old Town Square, with its astronomical clock besieged by huge crowds on an hourly basis, and its marvellous Tynsky Church, further on through the bottleneck that is the famous Charles Bridge, and up the castle hill with its gothic St. Vitus Cathedral. Off the heavily beaten tracks flooded by tourists at all times, surprisingly quiet spots can be found offering an oasis of peace and quiet too, e.g. by the river banks if you just walk a little up from Charles Bridge. Naturally, you can also do a range of mainstream tourist day excursions from Prague as a base; the most popular are probably the ones to the spa town of Karlovy Vary, to the Castle of Karlstejn, or to the incredibly picturesque town Cesky Krumlov (a UNESCO world heritage site).